After his stint on Team Cruz during TUF Live, I expect Pearson to be in top shape coming into this one. He is coming off a strong showing against Junior Assuncao and previously lost a split decision to budding star Edson Barboza. Swanson is a talented striker and submission artist but seems to faulter against top talent. Pearson by decision. Ebersole created most of the buzz for this scrap when he stated on The MMA Hour that he would like to “beat up a Diaz” after he won Friday night. Any mention of a Diaz relative is sure to send shocks through the online MMA Community. 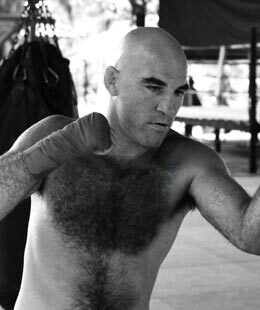 But concerning the fight, I think the experienced Ebersole wipes the floor with Waldenburger. TJ has two submission wins in a row, but Ebersole has twenty(!) submissions win in his 65 pro fights. The wily vet will prove to be too much for the youngster on Friday night. Ebersole by submission. After splitting their first two bookings, these guys will look to settle the score on Friday. Fisher has alluded to the idea that this could be his last time in the Octagon therefore I believe he is ready to put on a SHOW on Friday. Both of these athletes have been perennial UFC brawlers and always enter the cage looking to scrap. They may have not elevated themselves to contender status but both have established themselves as fan favorites for their fast-paced, bar-brawling styles. I would love to see Fisher ride into the sunset with a victory, but I don’t think the younger Stout will let that happen. Stout by KO. 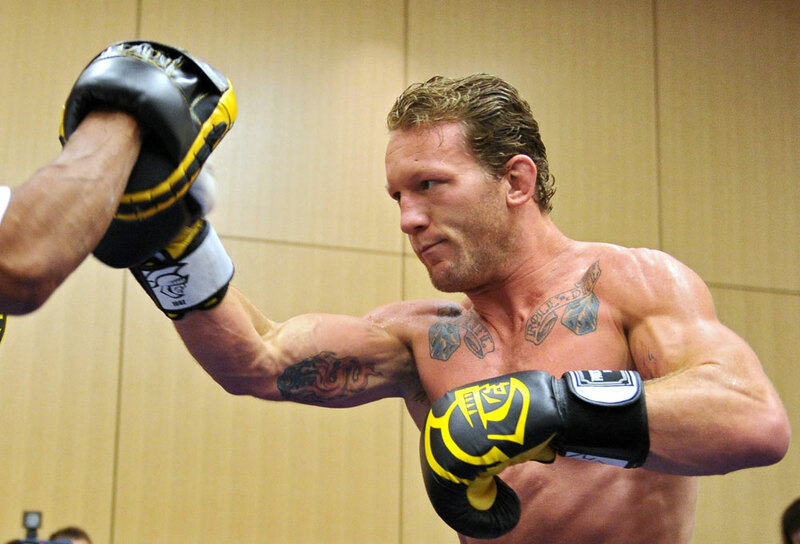 Gray Maynard V. Clay Guida. After the drama that was Hairgate, we are left with two of the lightweight elite looking to cement their position at the top of the division. 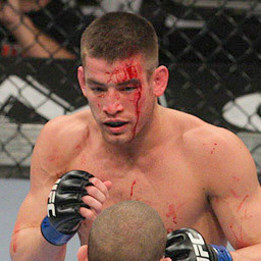 Gray is coming off his loss to then Champ Frankie Edgar, while Guida is coming off a loss to current Champ Ben Henderson. The two fighters come into the cage with strong wrestling bases and great size for 155ers. I think Maynard will be taking this one home with relative ease. Think about everything that Clay Guida does well… and now tell me that Gray Maynard can’t do any of those things better??? Wrestling. Point Gray. Stand Up. Point Gray. Looking like the Cro-Magnon Man. Well, Point Guida. But you get the point. I will look for Gray to win this one by decision. 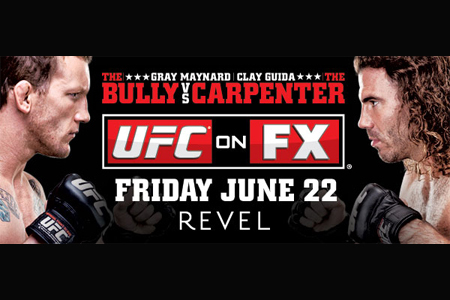 Clay will give him hell for five rounds, possibly even win a couple, but Gray will prove to be too much for Mr. Guida. Maynard by decision. This fight more be a little more interesting in actuality than it is on paper, but still not enough to get my wallet out to order the PPV… We all know about Werdum. An absolute monster on the ground with strong enough stand up to KO the likes of Gabriel Gonzaga and Brandon Vera. I mean, the guy beat freakin’ Fedor. He deserves lifelong props just for that feat. (Fedor is fighting Pedro Rizzo in St. Petersburg as I type this…) On the contrary though, Mike Russow isn’t as big of a slouch as he looks. He just eeked out a decision against John-Olav Einemo, a former ADCC competitor and all-around Heavyweight ground stud. Einemo’s ground skills had to parellel Werdum’s, but I assume Werdum’s all around game and high-level experience will allow him to coast to a victory against the Chicago native Russow. Werdum by decision. Rich, the “Math Teacher”, Franklin won their last meeting by a close decision. I assume that does not sit well with The Axe Murderer and he will be looking to avenge the loss in his native Brazil. Silva doesn’t exactly have a great track record in the UFC, but we all know he can live off his success in Pride until he decides to permanently put the axe in the shed… Neither guy has looked amazing in recent years. Franklin KO’d The Iceman back in 2010, but at that point a stiff wind could have sent Chuck to the mat. While Wanderlei had a decent win over Michael Bisping, a ROUGH loss to Chris Leben, and a surprisingly solid showing against Cung Le. If I had to pick, I might say that Wanderlei is coming into this fight with a little more positive momentum. Now things will get interesting when these guys leave their walkers with stitch and enter the ring on Saturday. First of all, the fight is in Brazil. Wandy is a bona fide star down their. The crowd is going to be going absolutely nuts for him, he hasn’t fought down there in twelve years. This could work both for and against Silva. The crowd will surely pump him up and give him the energy for a series of patented Axe Murderer flurries of punches and knees. But as Wandy charges at Franklin, he may be a bit overzealous and get caught and end up going to sleep, a way to common occurrence for him over the last few years. This one is really a toss-up. Both guys are susceptible to getting caught by the other. Both have been through wars, both guys know how to throw one hell of a punch. I am going to have to side with the hometown hero on this one though. Give me Silva by KO. Whether you actually watch these fights, or are just checking for the results the following morning, leave a comment if you agree or disagree with my “educated” guesses. This is ALar, signing off. PS – Don’t forget to follow Moai Martial Arts on Twitter !!!!!! This entry was posted in Commentary, MMA and tagged Clay Guida, Fabricio Werdum, Gray Maynard, rich franklin, Sam Stout, UFC, Ultimate Fighting Championship, Wanderlei Silva. Bookmark the permalink.